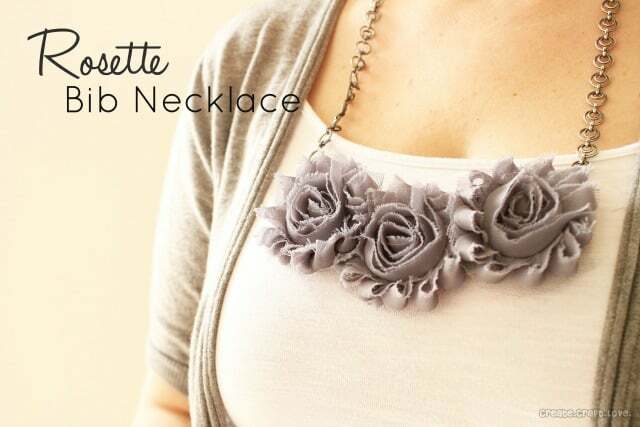 Everyone loves handmade gifts and a handmade necklace! Even better when it is simple to put together and makes a statement to wear. 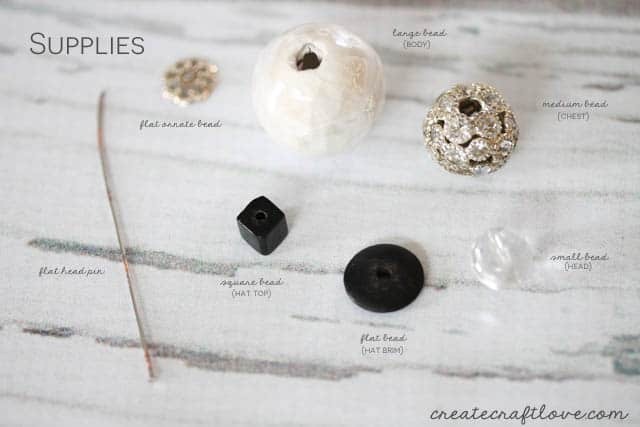 I’m going to walk you through creating your own Beaded Holiday Necklace in three easy steps. 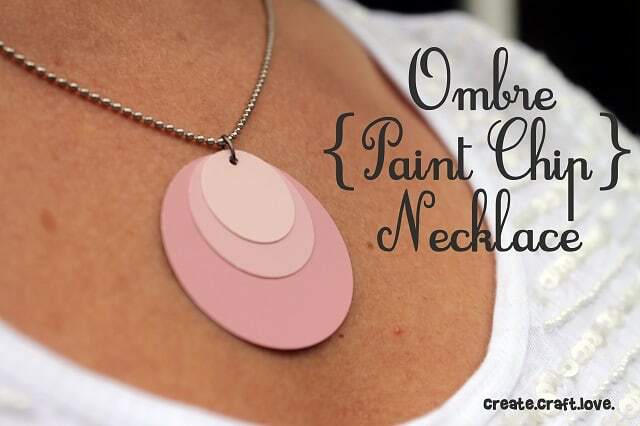 This necklace makes a great gift or winter accessory! 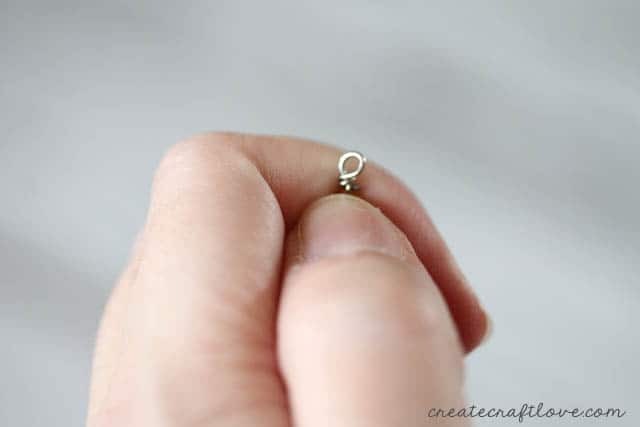 All you need is a 3 inch flat head straight pin and 6 beads. 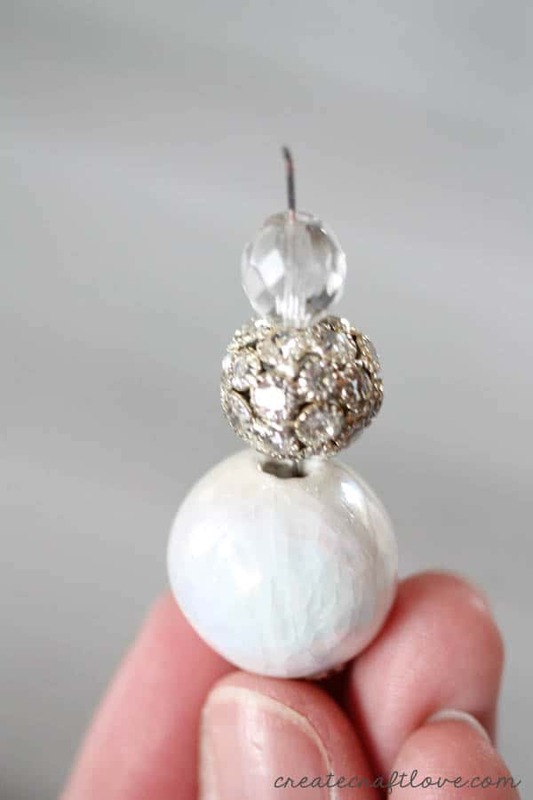 Begin by placing the flat ornate bead onto the straight pin. 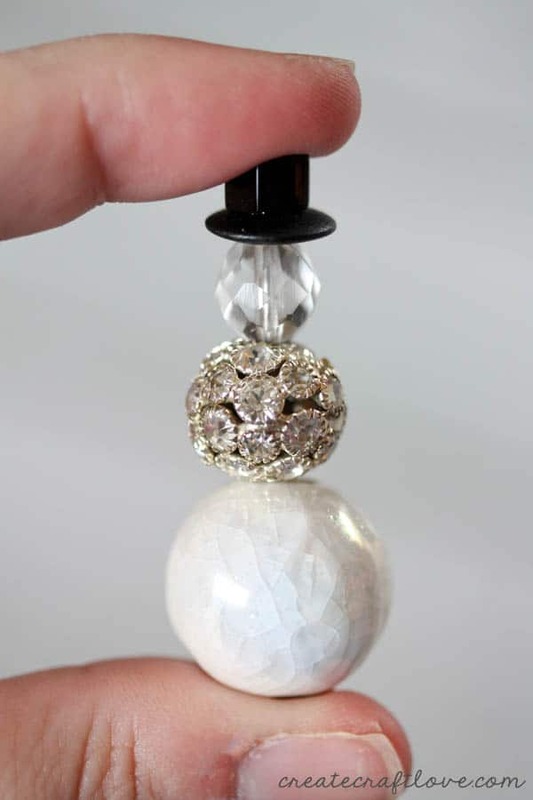 This will prevent the larger beads from falling off the pin. Next, add the large bead. This is the snowman’s body. The medium bead will be his chest and the small bead is the snowman’s head. The flat bead and square bead make up the hat. Add those next. Complete the snowman by creating a wrap around loop with a pair of needlenose pliers. Add a chain and you are done! You can modify it to look like a Christmas tree as well! 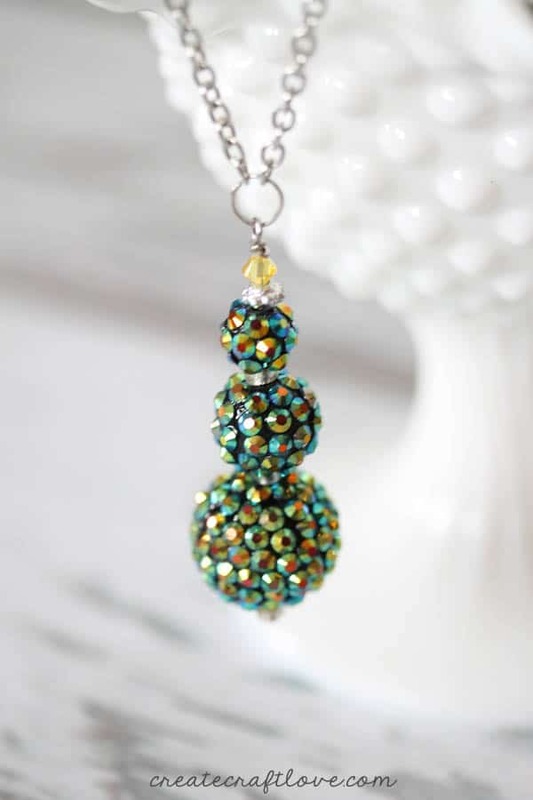 The snowman can be worn all winter but I am in love with the green beads for the tree! 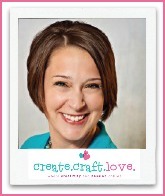 If you’re looking for more jewelry tutorials, stop by Create.Craft.Love! Follow along with me on Facebook, Pinterest, Instagram and Twitter! 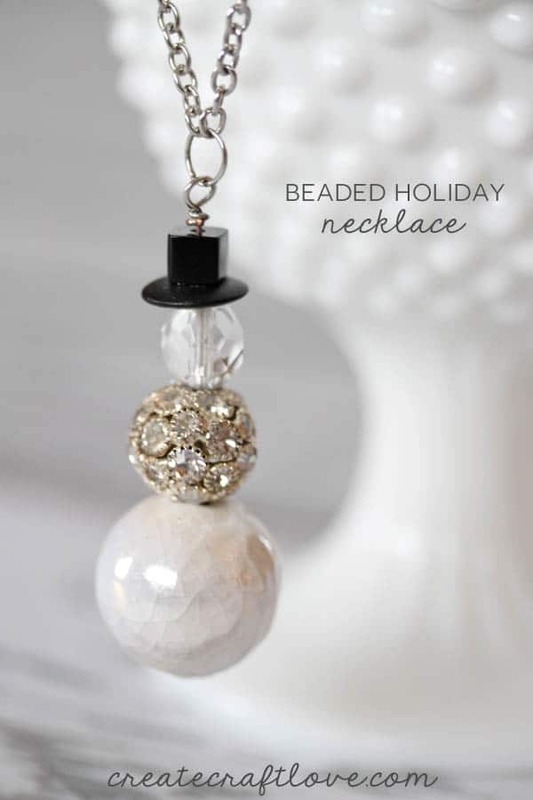 I LOVE this but cannot find the black flat bead for the hat anywhere–even Amazon! Any ideas? I really want to make these. Thanks! How about using a flat black button? Really like the snowman necklace you created with beads. Can you suggest where I could find each of those beads that you used? Michaels – but the flat bead for the hat brim came from a local store.